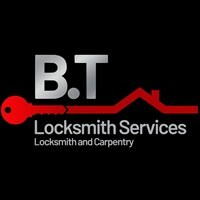 B.T Locksmith Services Ltd - Locksmith based in Sidcup, Kent. Here at B.TLocksmith Services Ltd we have a professional trusted and vetted team of Locksmith. We cover both domestic and commercial services. Whether you need us straight away or book us in for a job we provide a first class, highly skilled, qualified tradesmen with a clean and tidy workman ship. Our aim is to reassure our customers in what could be a challenging/stressful situation for them and provide them with security when needed. Our aim is to also leave the customer happy with the work provided by the team.